The fight to protect Dreamers continues to intensify as the Trump administration moves further away from a bipartisan approach. Confused by the latest developments? Let’s recap. Dreamers are young immigrants who are unauthorized and were brought to the U.S. as children. Dreamers often do not know a home outside of the U.S. Polls show that a huge majority supports the government taking action to help Dreamers by halting all deportation proceedings and providing them with a pathway to citizenship. Dreamers came here through no fault of their own and often do not even speak the language of the country from which their families brought them. It is estimated there are between 1.7 million and 3.6 million Dreamers currently in the U.S. and that as many as 75,000 of these immigrants could be LGBTQ. In 2012, after years of congressional inaction, the Obama Administration took action by creating the Deferred Action for Childhood Arrivals (DACA) program, which allowed certain qualified Dreamers to obtain temporary legal status in the U.S. and remain here to continue their studies, work and stay with their communities. 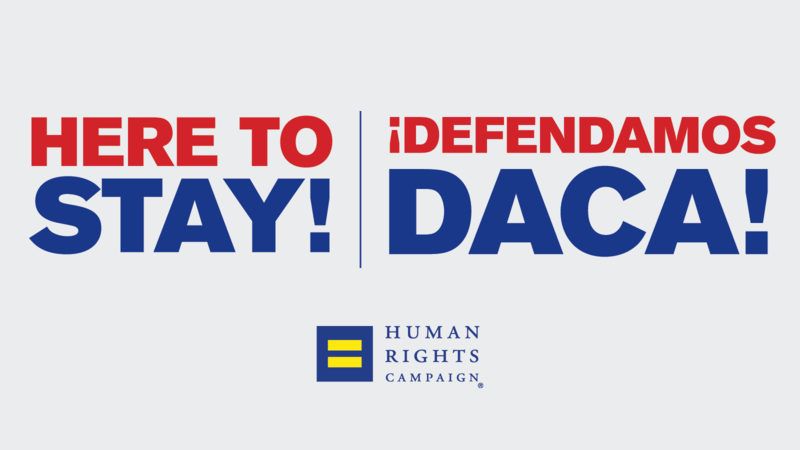 HRC supported President Obama’s action on Dreamers and has also endorsed the bipartisan DREAM Act (H.R.3440/S.1615), that would explicitly authorize Dreamers to remain in the U.S. and stop their deportation. HRC has also signed on to numerous letters in support of Dreamers and made the DREAM Act part of the organization’s lobby day on Capitol Hill this past fall. The U.S. must also take a number of other steps, such as reforming immigration courts, hiring more staff and preventing synthetic drugs from entering the U.S. This latest White House proposal lays out its wish list for immigration reform, one that would sharply curtain legal immigration while dramatically increasing spending to prevent illegal immigration. Until the White House proposal, bipartisan House and Senate discussions were focused on a “small deal” that would address the plight of Dreamers in exchange for additional border security. The White House proposal goes well beyond the scope of the many discussions that have been happening over the past few months. Keeping LGBTQ families together by reducing the backlog in family reunification visas. Over the next few weeks, Congress will continue discussions over the fate of Dreamers. HRC continues to call for the passage of legislation to address Dreamers and allow them to stay in the U.S. legally. A short term solution for Dreamers is still achievable this year. Should the White House want a comprehensive agreement, those negotiations are worthwhile but clearly could not be completed in the near term. It’s time to help Dreamers now.